The Ivey Business School, the Schulich School of Medicine & Dentistry, and the Faculty of Science administer these combined degrees. The completion of the Combined BMSc (Interdisciplinary Medical Sciences)/HBA Program usually takes five academic years. Students apply for admission to the Combined BMSc (Interdisciplinary Medical Sciences)/HBA Program during the first year of the HBA (HBA1), typically their third year of university. See ADMISSION REQUIREMENTS FOR THE HONORS BUSINESS ADMINISTRATION (HBA) PROGRAM. Students will usually complete MEDICAL SCIENCES FIRST ENTRY (Medical Sciences 1 and 2) prior to ADMISSION TO THE BACHELOR OF MEDICAL SCIENCES (BMSc) PROGRAM. Students should complete their BREADTH REQUIREMENT FOR BACHELOR DEGREES by the end of Year 2. In Year 3, students enroll in the first year of the HBA program. Demonstrated participation in extracurricular and/or community activities, leadership, and work experience are admission criteria for the HBA, in addition to academic achievement. For Years 4 and 5, students register in the Schulich School of Medicine & Dentistry and the Ivey School of Business in the Combined BMSc (Interdisciplinary Medical Sciences)/HBA Program. Below is a brief outline of the requirements for the combined degree program. It is recommended that students do not complete more than two years of course work prior to admission to HBA1. It is possible, however, to undertake the combined program with more than 10.0 courses prior to entry into the first year of the HBA but completion of the program may take more than five academic years. Students in this situation should contact both the BMSUE Coordinator and the Ivey School of Business. Applications for the combined degrees must be made during HBA1 to the HBA program and the BMSUE Coordinator by the published deadlines for Ivey. The Ivey School's Advanced Entry Opportunity (AEO) students are also eligible to apply to the combined degrees. Entrance to the combined degrees is competitive and limited. 3.0 courses from: Groups 1 and 2 (see below) with a minimum of 2.5 courses selected from Group 1. A maximum of 2.0 courses from one subject area (e.g. a maximum of 2.0 courses in Biochemistry) can be used towards the Group requirements. 0.5 course from: Group 3 or Physiology and Pharmacology 3000E. Group 1: Anatomy and Cell Biology 3309, Biochemistry 3381A, Biochemistry 3382A, Biostatistics 3100A, Biostatistics 3110B, Epidemiology 2200A/B, Epidemiology 3200A, Medical Biophysics 3330F/G, Medical Biophysics 3336F/G, Medical Biophysics 3501A, Medical Biophysics 3503G, Medical Biophysics 3505F, Medical Biophysics 3507G, Microbiology and Immunology 2500A/B, Microbiology and Immunology 3100A, Microbiology and Immunology 3300B, Pathology 3500, Pharmacology 3620, Physiology 3120, Physiology 3140A, any of the former courses: Epidemiology and Biostatistics 2200A/B, Microbiology and Immunology 2100A, Microbiology and Immunology 3400B, Pathology 3240A, Pathology 3245B. Group 3: Biochemistry 3380G, Medical Biophysics 3970Z, Medical Sciences 3900F/G, Microbiology and Immunology 3610F, Microbiology and Immunology 3620G, Physiology and Pharmacology 3000E, one of the former Biochemistry 3387G, the former Microbiology and Immunology 3600G, the former Pharmacology 3580Z, the former Physiology 3130Z. 1. If Physiology and Pharmacology 3000E is selected to satisfy the Group 3 requirement, then the total number of courses required for the Honors Specialization in IMS will increase by 0.5 course. 2. It is not mandatory to complete any Group 2 courses in the Honors Specialization in IMS. If Anatomy and Cell Biology 3319 is taken as a Group 2 course, then the total number of courses required for the module will increase by 0.5 course. 3. See UNDERGRADUATE COURSE INFORMATION for the requisites for 3000- and 4000-level courses, and the BMSc website for information about constraints (priority and restricted access) for all basic medical science courses. 4. Both the breadth and essay requirements of a BMSc degree must be satisfied. See "Graduation Requirements for Honors Bachelor degrees". Students enrolled in first year HBA (Year 3) must attain a minimum weighted rounded average of 78%. In Year 4, students must attain a minimum weighted average of 75% in their 4000-level HBA courses and a minimum cumulative modular average of 75% with no mark less than 60% in any modular courses required for the Honors Specialization in Interdisciplinary Medical Sciences (IMS). In Year 5, students must attain a minimum weighted average of 75% in their 4000-level HBA courses and a minimum cumulative modular average of 70% with no mark less than 60% in any modular courses required for the Honors Specialization in Interdisciplinary Medical Sciences (IMS). A student who fails to meet the progression standards in any year must withdraw from the combined degrees. With permission from the appropriate HBA Program Director and/or the Assistant Dean, Basic Medical Sciences Undergraduate Education, Schulich School of Medicine & Dentistry, the student may continue in one degree, and request permission from the other School to complete the other degree at a later date. 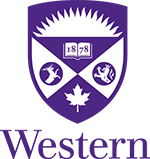 A student who fails to meet the progression standards in any year of the combined degrees may appeal the decision in writing to either the HBA Program Director or the Assistant Dean, Basic Medical Sciences Undergraduate Education, Schulich School of Medicine & Dentistry, depending upon the degree in which the progression standards were not met, in accordance with the University's policies on Academic Rights and Responsibilities. Students are considered for the Dean's Honor List in the Faculty of Science in Year 1 and 2. Students who take courses required for the Honors Specialization in Interdisciplinary Medical Sciences (IMS) module totaling at least six half courses in Year 4 and six half courses in Year 5 of the combined degrees are considered for the Dean's Honor List in the Schulich School of Medicine & Dentistry in each of those years on the basis of those courses. Upon completion of the combined program, students will receive two degrees: a BMSc (Honors) degree with an Honors Specialization in Interdisciplinary Medical Sciences (IMS) and a BA in Honors Business Administration. Students in the combined BMSc/HBA program may be eligible to participate in academic exchange programs (for HBA, only). Interested students should discuss exchange options with the HBA Program Office and the BMSUE Program Office.